I haven't done any trail running in a while but it's undeniably great exercise so here I go again spreading some exciting news from our friends in the marketing industry. 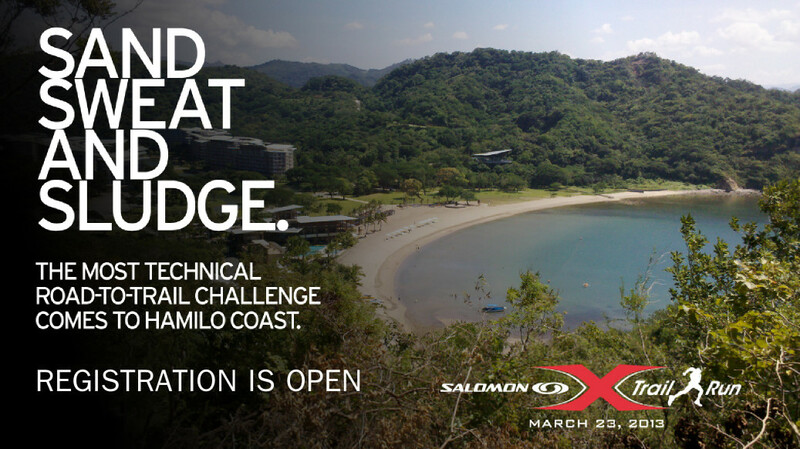 :) Salomon, the world's top trail running brand is coming up with the most technical road to trail running event in the Philippines this March 23, 2013. It will be held at the breathtaking Hamilo Coast, Nasugbu, Batangas. "A tour of the roads, hills, mountains and valleys around Hamilo Coast. The trail sections overlooking the cove are steep and technical, with sharp and loose rocks, roots and thick foilage, but the view if you need to stop and rest is worthwhile." the team who created the trail. there's going to be 5KM of road. Awesome views of the cove! Description :Targeted to trail runners who want to take their race to the next level, with technical ascents and varying terrain. This category simulates ascents of Skyrunning races – the arena wherein Salomon dominates. Cut-off time is 5 hours. 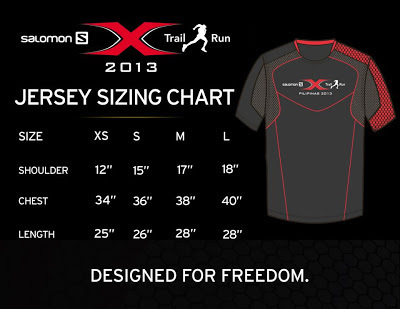 Reg Fee & Inclusions : P1,300 (with race bib, timing chip, Salomon Xtrail technical jersey. All finishers of this distance receive finisher’s medal, a Salomon Finishers’ bag which includes a Salomon arm pouch, and other freebies). Post race meal will also be served. Yihaaa! Description : Targets runners with basic trail running experience who wants to level up and experience technical terrain. Cut-off time is 2.5 hours. 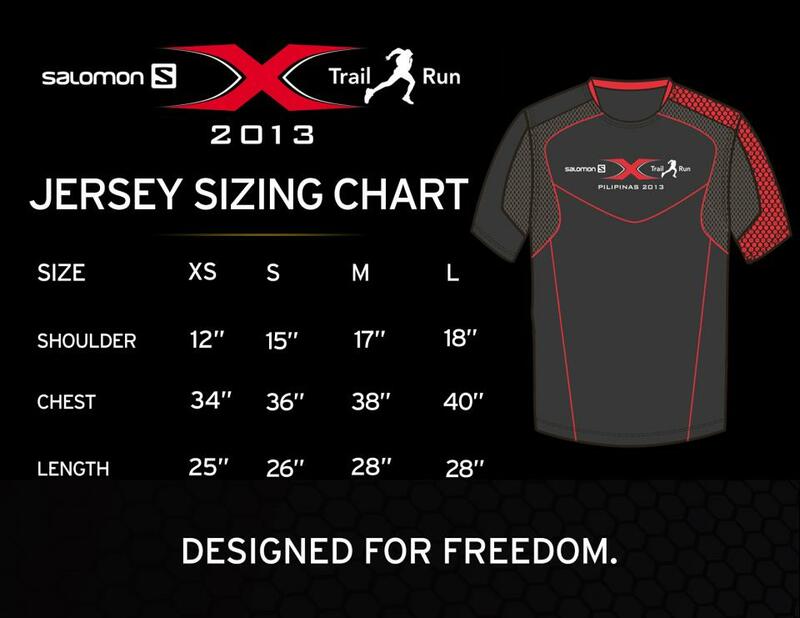 Reg Fee & Inclusions : P1,100 (with race bib, timing chip, Salomon Xtrail technical jersey. All finishers of this distance receive a Salomon Finishers’ bag which includes a Salomon arm pouch, and other freebies). Post race meal will also be served. Woot, woot! Description : targets beginners who want to explore the world of trail running. Road runners are very welcome, to experience a different adrenaline rush. Cut-off time is 1.5 hours. You may also register online via RunnersRunner. • Add Php 500 – get a Nathan handheld bottle (worth P990), till supplies last. • Add Php 450 – get a Bus slot from R.O.X. to Hamilo Coast & back, for the first 300 registrants. - This is a green event. Cups will not be provided so you need to bring your own water bottle or hydration bag. - 10:00am – ALL PARTICIPANTS WILL BE SWEPT BY THE MARSHALL’s VAN. - Expect very hot running conditions so bring protection from the sun. - The race venue is not accessible to public transportation. Please refer to information below. - Buses will be available to the first 300 participants, for an additional Php 450. To avail, please click on the tickbox in the registration form & include payment with the race registration fee. Each registrant may avail of ONLY 1 additional seat in the bus (maximum of 2 seats per race participant). Please save the Bus Stub in your registration form/waiver. This will be surrendered upon boarding the bus on race day. Special Rates at Pico Sands Hotel at Hamilo Coast, exclusively for Xtrail Participants range from P6,500 to P7,000. For accommodations inquiries & reservations, please email : accommodations@salomonxtrailpilipinas.com. Leave your contact number & they will call you the soonest. For any other inquiries, I was not able to cover on this post, please visit the event website: www.salomonxtrailpilipinas.com or send an email to inquiry@salomonxtrailpilipinas.com. You may also “Like” their FB Page : Salomon Trail Running PH. 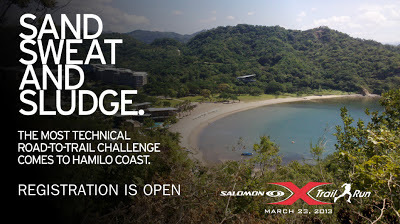 The Salomon Xtrail Pilipinas 2013 is in cooperation with AXN & R.O.X., with official venue partners: Hamilo Coast, Pico Sands Hotel, and Pico Beach & Country Club. This event is sponsored by TIMEX, Gold’s Gym, Nathan, ZEM Gear, Trellis Restaurant, Coca-Cola, High 5, and Res|Toe|Run.